Today we're taking a trip to a colorful land! Though there is a witch there too. We're going to the merry scary old land of Oz! It's hard to pick a favorite hue, but I'm going with Yellow. Because it's the color of my favorite character's stuffing. I also have a scarecrow of my own! A living dead one to be exact! To our hostess Oma Linda's here! I have a special fondness for the scarecrow as well! I even dated someone who looked like him once upon a time? Love the song! Down the yellow brick road I GO!! Love the article giving a synopsis of the movie.....tee hee. How acurate. 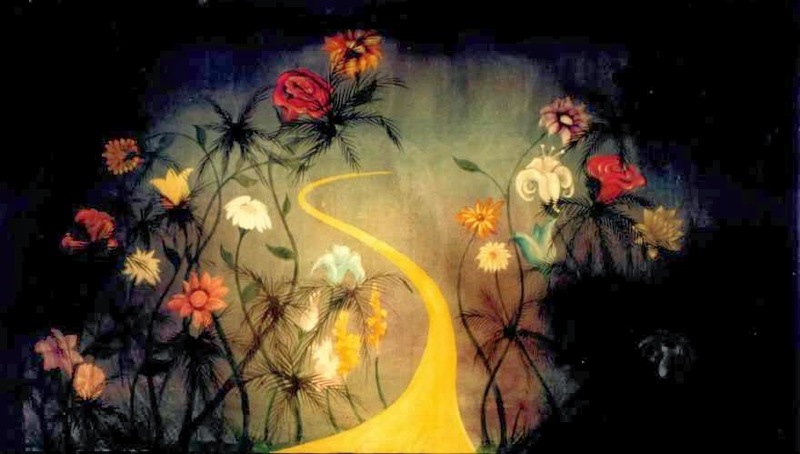 I think you have taken the hues of Oz to a very wonderful place. I too love the scarecrow and I must confess that I have never seen one like yours before. He's adorable. Thank you for joining in and making our fun even more so. I love it. I always thought the scarecrow never got the respect he deserved. Words escape me and this isn't easy to do! Fantastic...bravo!!! Oh that newspaper clipping does make The Wizard of Oz sound quite dark. I love your scarecrow, he is so much fun and dark. This is a wonderful Oz post. I LOVE, LOVE, LOVE that newspaper announcement. 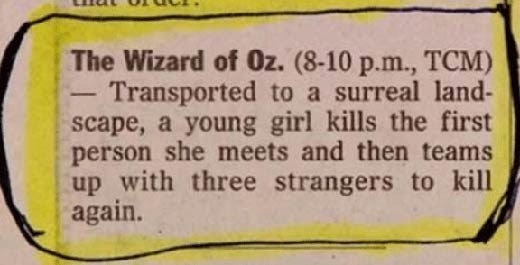 I'm always thought that Dorothy was a bit of a delinquent--manslaughter, theft, second degree murder by water... and so on. And I agree with Gina, "your undead scarecrow is to die for." 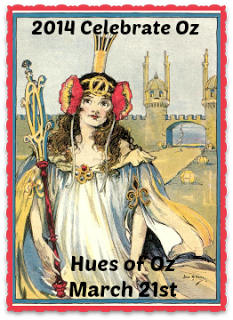 Happy (creepy) Hues of Oz! Gotta say, I really like your scarecrow. And the crow standing behind him, totally cool! Like Oma Linda the article giving the synopsis of the film had me laughing out loud! what a brilliant, funny, creepy and totally marvelous post...such fun! 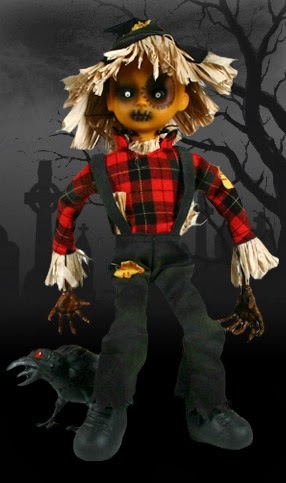 Love the dead, undead scarecrow!!! What a deliciously dark take on Oz! Now *that* scarecrow would scare a few things, I bet! Eyes, blood swimming pool, batteries, knock knock! Loved that first video ;o) Loved the article too! Great post for the Oz party ;o) Your scarecrow is really cool! Wonderful post. 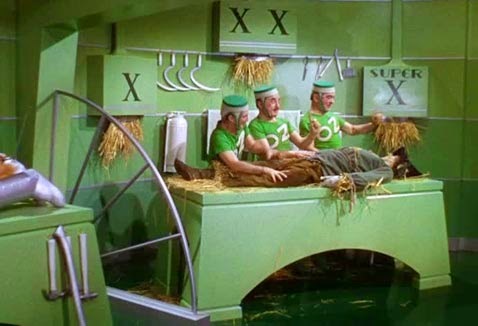 I do like how there are so many horror elements in the Wizard of Oz. It's very adult for a child's tale. Love the synopsis. It should have mentioned flying monkeys for the acid-trip crowd. UH OH..if The Scarecrow is UNDEAD, that means Dorothy might be next or the Lion, Tinman...NOoooooooo...NOT TOTO! As an Oz fan AND a Zombie fan, LOVE YOUR WALKING DEAD SCARECROW!!! Thank you very much for this and yes, there's all kinds of scary things in Oz, of which straw men being disemboweled is pretty near the top of the list. Mmmmum. Tasty yellow filling! Just stumbling in before dawn, I'm always last to leave a party and I took a detour got fraggin' lost on that yellow brick road but looks like I've saved a tasty one until last! Holly I truly LOVE that kids twisted rainbow land, what a hoot, unexpected and Sooo much fun!!!! Thank you all so much for the kind comments!